Helen Parker Goss was born 23 October 1836 in Massachusetts, the daughter of Allen Henry Goss and his wife Sophronia C. (Parker) Goss. Her paternal grandparents were Allen and Jane (McMurphy) Goss. Her maternal grandparents were Nathaniel and Abigail (Burbank) Parker. 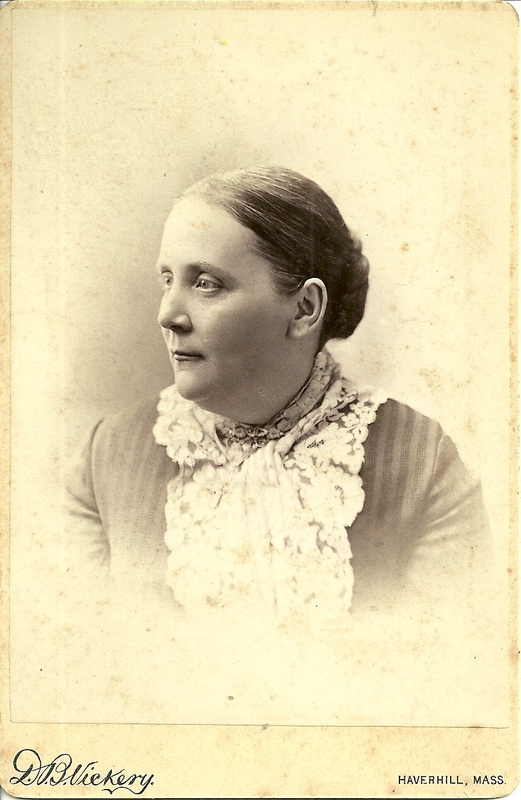 Helen's sister Laura Ann Goss was the subject of an earlier post, in which she and her son Llewellyn were both pictured. 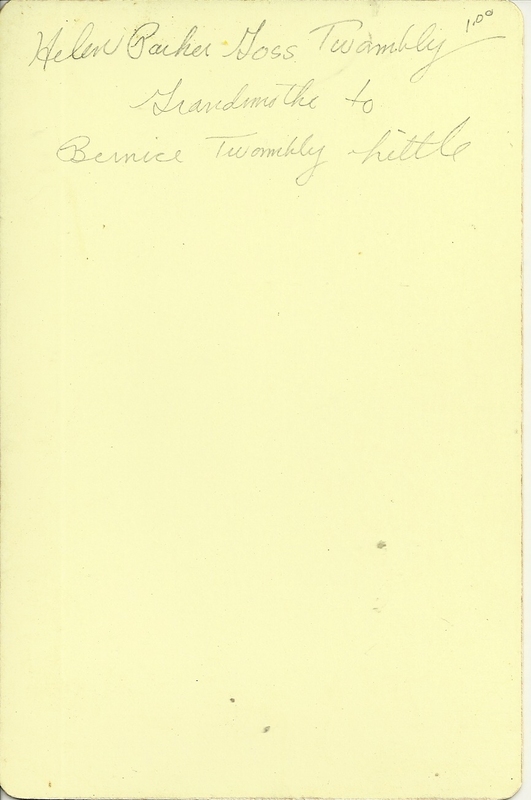 In 1860 Helen married Charles Drew Twombly, who was born 31 March 1836 in New Hampshire, the son of Hopley G. Twombly and his wife Elmira (Frost) Twombly. Helen and Charles had at least two sons and a daughter. 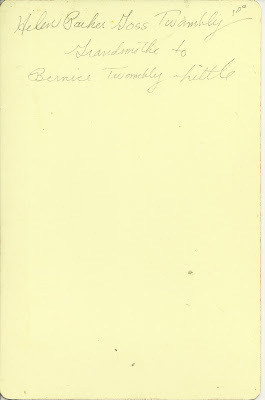 One of their sons, Herbert, was the father of the Bernice Twombly Little referenced above on the reverse of Helen's photograph. Wow! Thanks for adding this.